I guess you can call it a very successful trip! 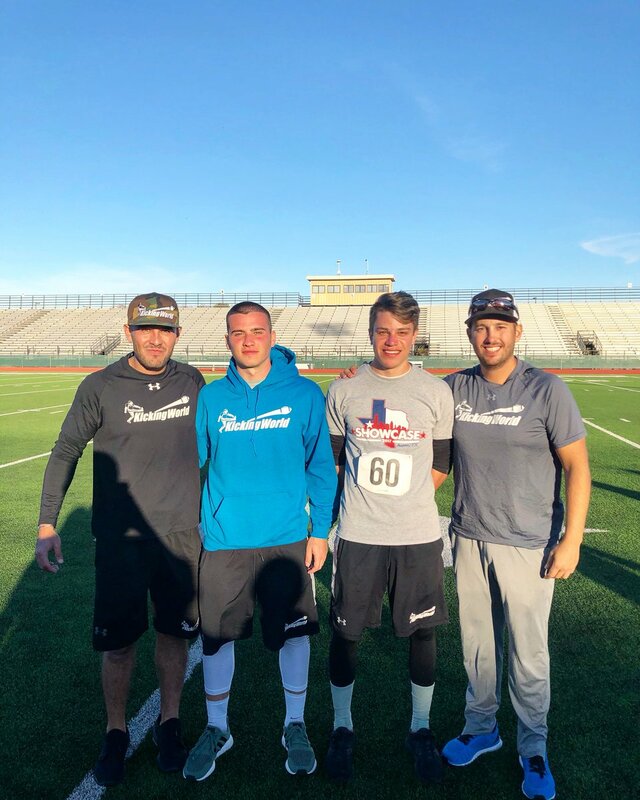 Timo Bronn(Germany) and William Testa(Italy) took the long trip to Austin, Texas to compete in the KickingWorld Showcase Camp on the 9th and 10th of December. Overall they showed their talent and reconfirmed their invitation to this camp. Even though the Field Goal session didn't go as planned, they really had a great showing in the Kick Off Competition. Both made it in the top ten. To make it into the next round, kicks had to travel a certain distance with an required minimum hang time. In one of the last rounds, the requirement was to kick into the end zone, with a hang time of at least 3,6 seconds. William cleared this with a solid hit, Timo kicked in the end zone, with a 3,56 seconds hang time (I really question these stop watches in Texas), still a great kick. 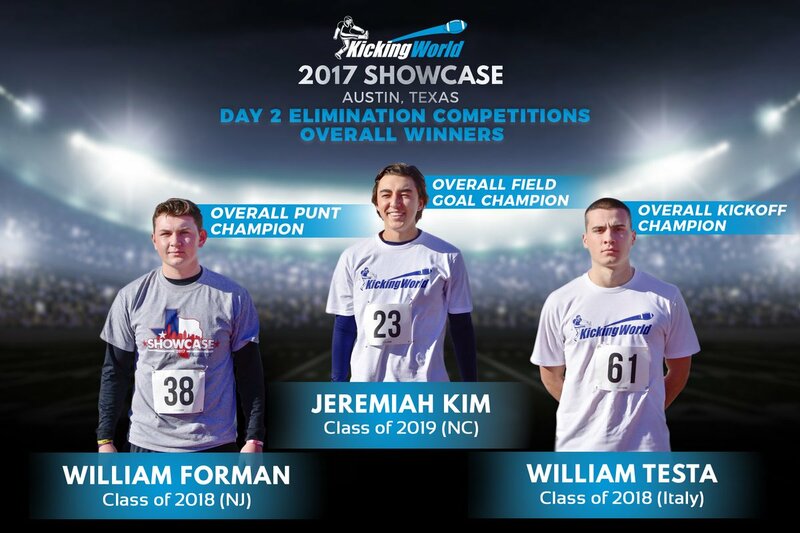 We want to thank Coach Brent and the KickingWorld Staff. Maybe there are more Europeans in this SowCase Camp in the years to come!